We are proud of our success in the government market. iGov welcomes your requests for additional information about our company or vendor partners. RESTON, VA, March 1, 2019 - iGov announced today that General Services Administration (GSA) Atlanta has awarded the company a Cooperative Agreement for Panasonic Rugged Devices and Accessories. This BPA is open to all federal, state, local, and tribal government agencies. The granting of this public sector agreement award recognizes iGov’s and Panasonic’s commitment to meeting the evolving needs of government agencies. 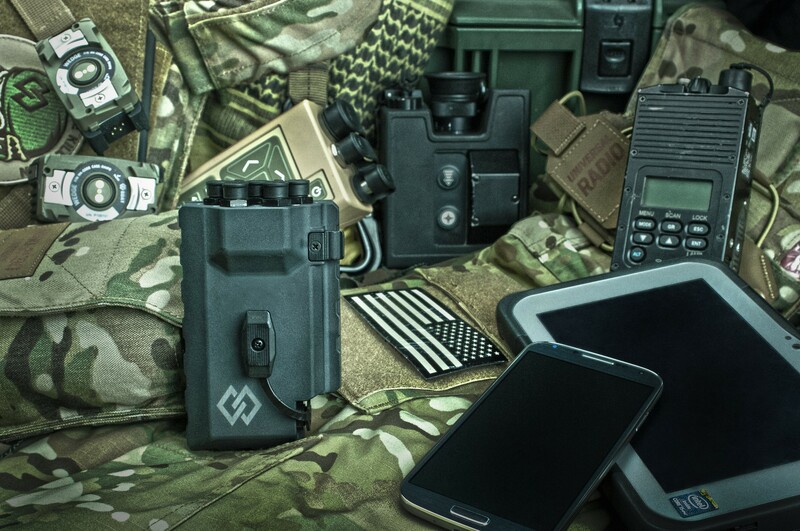 In response to increasing demand for rugged mobile devices and accessories, delivering these goods at aggressively discounted prices enables the companies to equip government workers with enhanced devices quicker and easier than ever. iGov’s prices for Panasonic products are pre-competed, negating the need for bids or multiple quotes. This pricing structure provides a significant discount off the GSA ceiling, with the bonus of quantity discounting. “While the resources and capabilities of a large systems integrator are rarely found within a small business, iGov thrives in this market. With abilities such as engineering, integration, IUID labeling, and full lifecycle management, it is evident as to why GSA Atlanta and Panasonic initiated a partnership with iGov,” said Mike Tyrrell, iGov President and Chief Operating Officer. 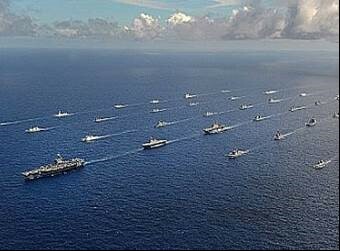 This award allows iGov to provide a broad range of engineering, financial management, and programmatic support services in 23 functional areas within seven (7) geographic zones to the Navy Systems Commands (NAVSEA, SPAWAR, NAVSUP, and NAVFAC), the Office of Naval Research, Military Sealift Command, and the United States Marine Corps. Reston, VA, October 23, 2018 - iGov Technologies, provider of DoD tactical C4ISR systems and support services programs, was awarded the Army Responsive Strategic Sourcing for Services (RS3) Contract by the U.S. Army Contracting Command, Aberdeen Proving Ground Maryland. “We are very excited about this opportunity. 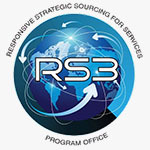 The RS3 contract is a great platform to demonstrate our commitment and devotion to delivering high value, mission centric C4ISR services,” said Chuck Reiche, iGov’s Senior Vice President of Business Development. "The RS3 contact is the largest IDIQ in iGov’s history and is an important component of our growth strategy. This contract provides expansion of our service offerings and improved access to existing and new customers,” said Mike Tyrrell, iGov’s President & Chief Operating Officer. iGov is a C4ISR systems integrator and value-added reseller specializing in delivering mission-centric C4 solutions to its government customers. iGov deploys its people, expertise, and processes to execute full lifecycle enterprise and tactical C4ISR programs in the following areas: Tactical Networking, Software Development, Systems Engineering, Communications Systems, and C4ISR Platform Integration. For more information, please visit www.igov.com. The Capability Maturity Model Integration (CMMI)® is a globally recognized set of best practices that enable organizations to improve performance, key capabilities, and critical business processes. The CMMI framework provides organizations with the essential elements of successful processes that ultimately improve their performance. An appraisal at Maturity Level 3, such as iGov has achieved, indicates the organization is performing at a defined level, meaning processes are well characterized and understood, and are described in standards, procedures, tools, and methods, which translates into best possible results for their government customers. “Achievement of the Capability Maturity Level 3 rating is another important strategic milestone for iGov. Helping customers achieve success is our mission, and we are proud of the fact that our process maturity has been judged to be a key factor in ensuring that we effectively complete that mission,” said Chuck Reiche, Senior Vice President of Business Development. "The successful completion of our CMMI Level 3 appraisal affirms iGov’s commitment to using effective, repeatable product development, project management, and support processes toward the goal of always producing quality products for our customers,” said Mike Tyrrell, iGov’s President & Chief Operating Officer. iGov is an employee owned, systems integrator specializing in delivering mission-centric C4ISR solutions to its government customers. iGov deploys its people, expertise, and processes to execute full lifecycle enterprise and tactical programs in the following areas: Tactical Networking, Software Development, Systems Engineering, Communications Systems, and Platform Integration. For more information, visit www.igov.com. Reston, VA, August 9, 2018 - iGov Technologies, Inc., provider of C4ISR systems and support programs, announced today they received an $85.1 million DO award under the $538 million Platform Engineering and Integration for Tactical and Strategic Systems (PEITSS), multi-award Indefinite Delivery Indefinite Quantity (ID/IQ) contract. The Air Force Life Cycle Management Center (AFLCMC) selected iGov on a competitively solicited basis. This marks iGov’s second major DO award and follows the $52.5 million TACP MCS Block 1 contract awarded in January 2016. Under the TACP-MCS Block 2 contract, iGov will modify the M1165 High Mobility Multipurpose Wheeled Vehicle (HMMWV) armored variant used by Air Force Tactical Air Control Party operators. To successfully execute Close Air Support (CAS) operations, iGov will integrate and deliver modernized, robust voice, data, and video communication capabilities required by Joint Terminal Attack Controllers (JTACs). Work will be performed at iGov’s Tampa, Florida facility and is expected to be complete by January 2024. 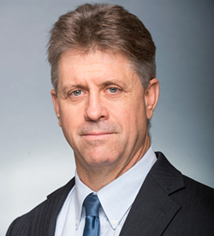 Reston, VA, September 13th, 2018 - iGov, provider of DoD tactical C4ISR systems and lifecycle support programs, announced today the promotion of Mark Valentine to Chief Financial Officer (CFO). Mr. Valentine, is an eight-year veteran of iGov and has led a broad range of senior finance, business and operational assignments as iGov’s controller. As CFO, Mark Valentine will be responsible for the company’s financial, accounting and procurement operations. Mr. Valentine will lead the executive-level review of pricing strategies, manage accounting and financial reporting functions, manage the company’s treasury and credit facilities and oversee federal accounting compliance. "We are delighted to have Mark Valentine promoted to the position of CFO. His extensive experience in strategic planning, corporate finance and financial oversight make him a welcome member of the executive team," said Michael Tyrrell, President and Chief Operating Officer of iGov. iGov is an employee owned, systems integrator and Value Added Reseller specializing in delivering mission-centric C4I solutions to its government customers. iGov deploys its people, expertise, and processes to execute full lifecycle enterprise and tactical programs in the following areas: Tactical Networking, Software Development, Systems Engineering, Communications Systems, and C4I Platform Integration. For more information, visit www.igov.com. Reston, VA, August 10, 2018 - iGov, provider of C4I systems and support programs, announced today our participation in the Armed Forces Communications and Electronics Association (AFCEA) TechNet Augusta, Cyber Electromagnetic Activities Symposium and Exposition 2018 on 20-23 August 2018.
iGov will be displaying and demonstrating several “at platform” testing and maintenance tools designed to support the US Army ‘s Maintenance Support Device (MSD), family of solutions. The MSD-V4L is the US Army’s standard general purpose At-Platform Automatic Test System, designed to test and diagnose highly complex communication systems, missiles, aircraft, and ground vehicles. 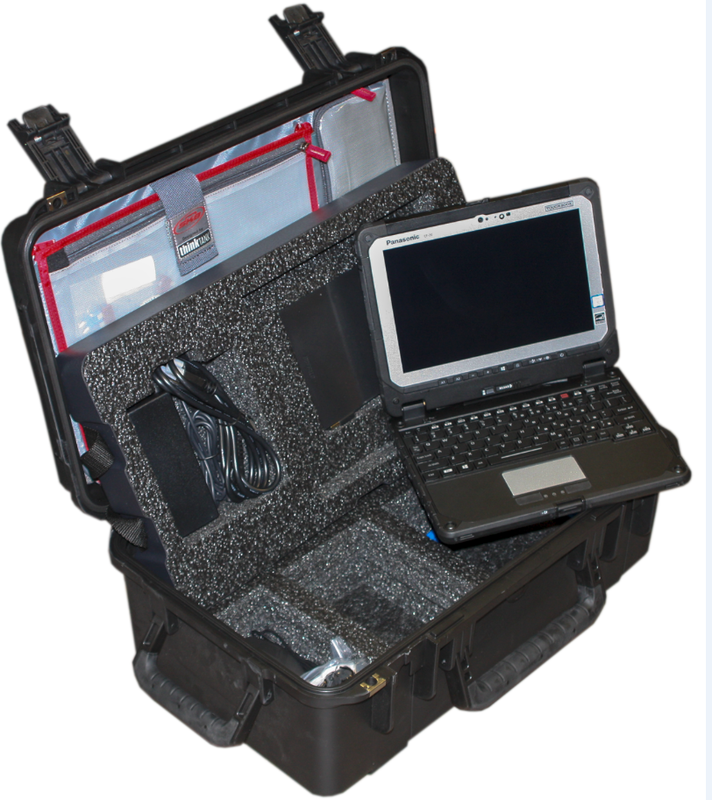 In addition, iGov will be demonstrating our dismounted/wearable C4ISR system, the Field Computing Device-Wearable (FCD-W). 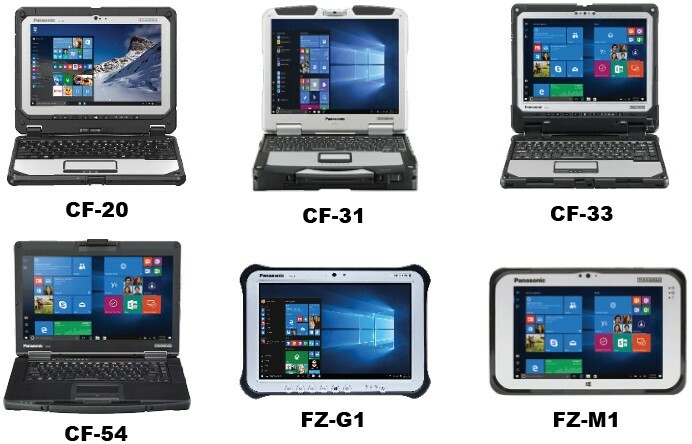 The FCD-W provides an evolution in wearable/dismounted, ruggedized, commercial computing capability with network connectivity via tactical radio equipment. It provides the individual operator with secure, mobile tactical computing end user devices, input/output, power sources, and software. 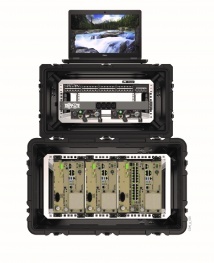 iGov’s C4I tactical family of systems provide the Army with next generation, small form factor, ruggedized maintenance, communications, computing, storage, and networking capabilities. Please visit iGov in Booth #S2. iGov is an employee owned systems integrator and Value Added Reseller, specializing in delivering mission-centric C4I solutions to its government customers. iGov deploys its people, expertise, and processes to execute full lifecycle enterprise and tactical programs in the following areas: Tactical Networking, Software Development, Systems Engineering, Communications Systems, and C4I Platform Integration. For more information, visit www.igov.com. Reston, VA, November 1, 2017 - iGov, provider of DoD tactical C4ISR systems and lifecycle support programs, announced today that Dr. Stephen Carlton has been promoted to Vice President of Program Management at iGov. Prior to his promotion, Dr. Carlton has held the position of Business Capture Director. Dr. Carlton is a highly-credentialed industry leader with over 12 years of success in program management. In his new role, Dr. Carlton will lead and manage iGov’s Program Management Office and provide direct management and oversight across iGov’s program portfolio. Dr. Carlton will ensure that all program cost, schedule and performance needs of our Government customers will be met, and based upon our corporate objectives. The U.S. Government has relied upon iGov’s technical solutions and services for more than two decades. Dr. Carlton holds a DBA with a Management Concentration from Argosy University, an MS in Computer Science from The Johns Hopkins University, and a BS in Computer Engineering from the University of South Florida. He also holds a professional certification for Project Management from the Project Management Institute. "As iGov continues to grow strategically and serve the needs of our Government customers, Steve’s mission-focused leadership, engineering, and operations experience will help ensure that iGov’s program performance continues to exceed their expectations. iGov is committed to providing the engineering solutions and support necessary to enable our Government customers protect national security and meet their unique requirements and challenges,” said Michael Tyrrell, iGov’s President and Chief Operations Officer. 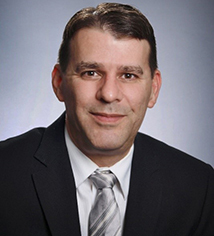 Reston, VA, September 26, 2017 - iGov, provider of Department of Defense tactical C4ISR systems and lifecycle support programs, announced today that Chuck Reiche has been promoted to Senior Vice President of Business Development. 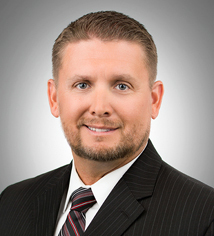 In his expanded role, Mr. Reiche will now be iGov’s senior corporate executive in the firms Tampa, Florida office. He will provide leadership and work across iGov’s operational areas to align internal resources with customer and corporate growth objectives. In addition, Mr. Reiche will continue to provide direct leadership and management of iGov’s Business Development, Capture, and Marketing departments. "As iGov continues to grow, Chuck’s executive level leadership experience in both Business Development and Operations will help ensure the company’s objectives and investments are closely aligned with our customer’s mission and our corporate growth strategy,” said Mike Tyrrell, iGov’s President and Chief Operating Officer. Mr. Reiche is a graduate of The Ohio State University Fisher College of Business and holds a Master of Science in Computer Science from the Naval Postgraduate School. He holds master's certificates in Information Systems and Project Management from Villanova University, and is a Project Management Institute (PMI) certified Project Management Professional (PMP). Reston, VA, June 22, 2017 - iGov, provider of C4I systems and support programs, announced today that the Tactical Air Control Party-Mobile Communications System (TACP-MCS) program completed Production Acceptance Test and Evaluation on April 11, 2017. More than 200 system requirements were tested successfully, including line-of-sight, range testing for voice, data, and video. TACPs are the principal Air Force liaison elements with the Army and the special operations communities. TACPs advise and assist the ground commander in planning, directing, and coordinating, close air support (CAS) missions. TACPs provide terminal attack control and deconfliction of a CAS aircraft with supporting indirect fire, Army rotary wing, or intelligence, surveillance and reconnaissance assets within the area of operations to prevent fratricide. The MCS provides four radio channels supporting legacy and next-generation waveforms with an extremely user-friendly interface. The system also provides local area network, full motion video receiver, digitally-aided CAS, and global positioning system capabilities. The result is maximized efficiency of mobile voice and data interoperability throughout the battlespace, effectively shortening the TACP kill chain. Reston, VA, May 11, 2017 - iGov, an employee-owned company and provider of C4I systems and support programs, announced today our participation in the Special Operations Forces Industry Conference (SOFIC) 2017 from 15-18 May 2017. iGov will be displaying and demonstrating various tactical SOF technology solutions, designed to support command center, vehicular, and dismounted SOF missions. iGov will be demonstrating the transit case-based Tactical Local Area Network (TACLAN) System, the Field Computing Device-Wearable (FCD-W)/Squad Computing Kit (SCK), and iGov’s vehicle mounted Tactical Air Control Party Mobile Communications System (TACP MCS). 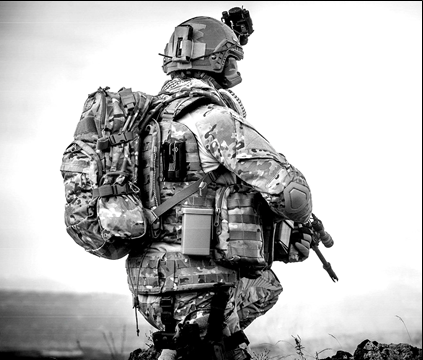 iGov’s tactical command and control family of systems provide the SOF warrior with next generation small form factor, ruggedized communications, computing, storage, and networking capabilities. Visit iGov at SOFIC (booth #1526) located at the Tampa Convention Center in Tampa, FL for more information on these programs. Reston, VA, May 11, 2017 - iGov, provider of C4I systems and support programs, announced today that the Tactical Local Area Network (TACLAN) Family of System (FoS) Field Computing Device-Wearable (FCD-W) has successfully completed Operational Utility Assessment (OUA) during Digitally-Aided Close Air Support (DACAS) testing at a Department of Defense test range in Nevada. Variable Message Format (VMF) and Situation Awareness Data Link (SADL) was tested with various aircraft during the week-long event. CAS 9-lines, Air on Station reports, and other digital information was passed between FCD-W system and the aircraft. In addition, ground forces successfully tested video down links from the aircraft which dramatically improved situational awareness and improved their ability to process targets. "This marks another significant milestone in the successful demonstration and verification of the FCD-W performance and capability as we move towards final system certification and fielding," stated iGov’s Vice President of Programs. The FCD-W solution supports a standard operator configuration for “shooters” and a Joint Terminal Air Controllers (JTAC). For the first time, special operation forces now have a wearable system optimized for combat operations that allows an end user device to connect to multiple C4I devices. This greatly enhances their ability to conduct targeting missions, Situational Awareness (SA), and navigation. 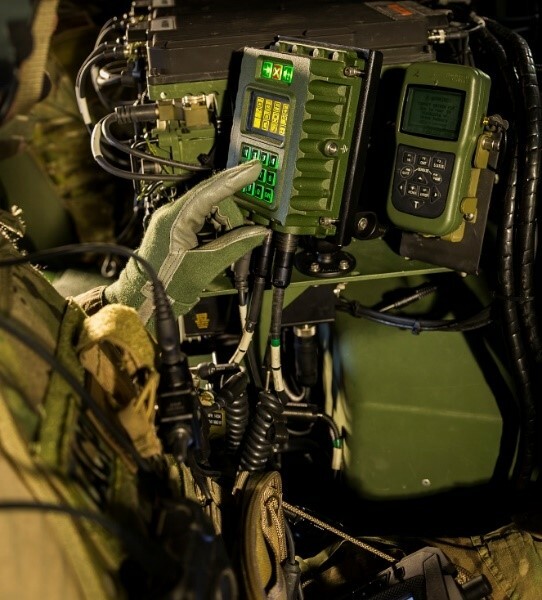 “The FCD-W is designed for the dismounted warrior and incorporates a suite of SA and DACAS applications, including ATAK, mobileJECL and ATRAX supporting VMF, Link 16, SADL and ANW2,” says Greg Kaighin, iGov’s TACLAN FCD-W Project Engineer. “The system is designed for multiple tactical mission sets using a NIAP-approved CSfC compliant end user device while using data and power from multiple sources.” The FCD-W kit will be available to view in iGov’s booth at SOFIC 2017 from 15-18 May 2017 at the Tampa Convention Center in Tampa, FL (Booth # 1526). Reston, VA, April 11, 2017 - iGov, provider of C4I systems and support programs, announced today our participation in the Armed Forces Communications and Electronics Association (AFCEA) TechNet Fort Bragg Symposium & Exposition 2017 on 25-26 April 2017.